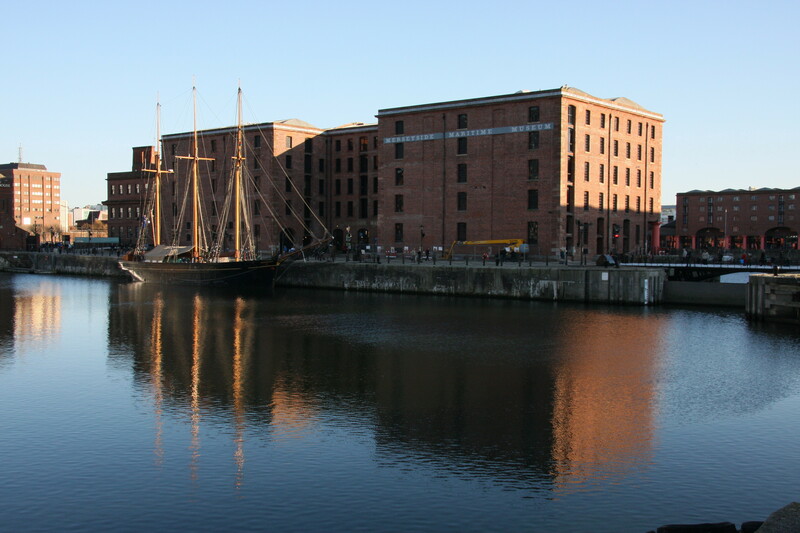 As the UK’s last working wooden hulled three-masted topsail schooner and the only one of this construction still in operation, KATHLEEN & MAY typifies the great era of the British merchant schooner with a rig that was widely adopted from the 1870s to the First World War due to its efficient and economical form. Both rig and hull were crafted, and subsequently repaired and restored between 1999 and 2002, using traditional techniques developed over 400 years. At build, KATHLEEN & MAY incorporated the first known example of the Appledore roller reefing gear: this has been fully restored on all three booms for use today. 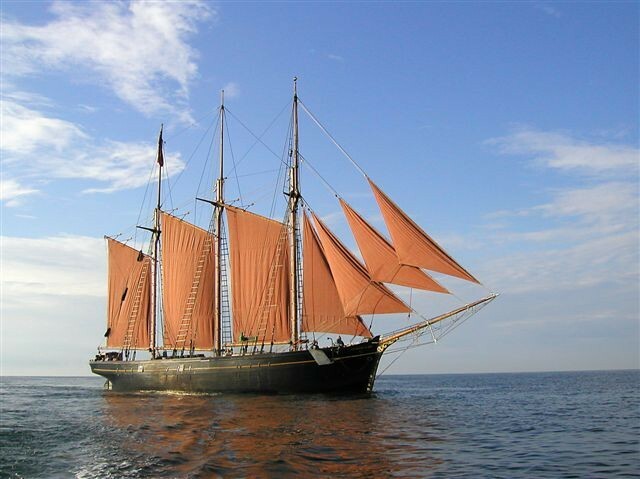 She was fitted with an engine in 1931, her topmasts reduced in height and square topsails removed. 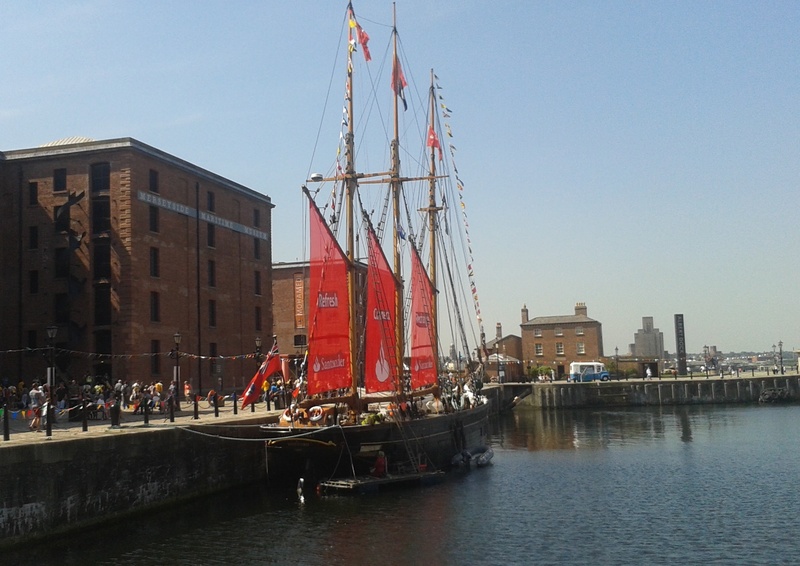 Her current engine is a new Volvo Penta and generator installed in June 2015 by a local Merseyside company and, whilst her rig has been restored to its original specification, a sail is no longer carried on the crossed yard on the foremast which was used in the original square topsail configuration. 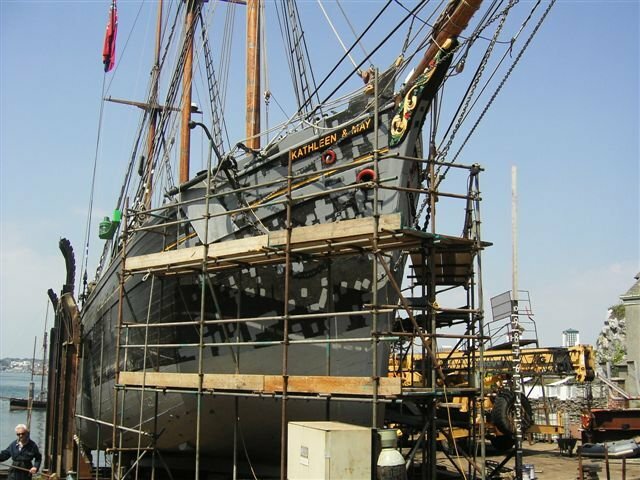 During conservation approximately 85% of her planking and 60% of the frames were replaced and she was then re-decked. However, most of her internal timbers and fittings remain original. The captain’s quarters in the stern, comprising a saloon and comfortable sleeping cabin, have been sympathetically restored to show the high quality workmanship involved, reflecting the high social status of a master of such a vessel. A prayer from her early days - God save the Kathleen & May – can still be seen inscribed into the saloon panelling. 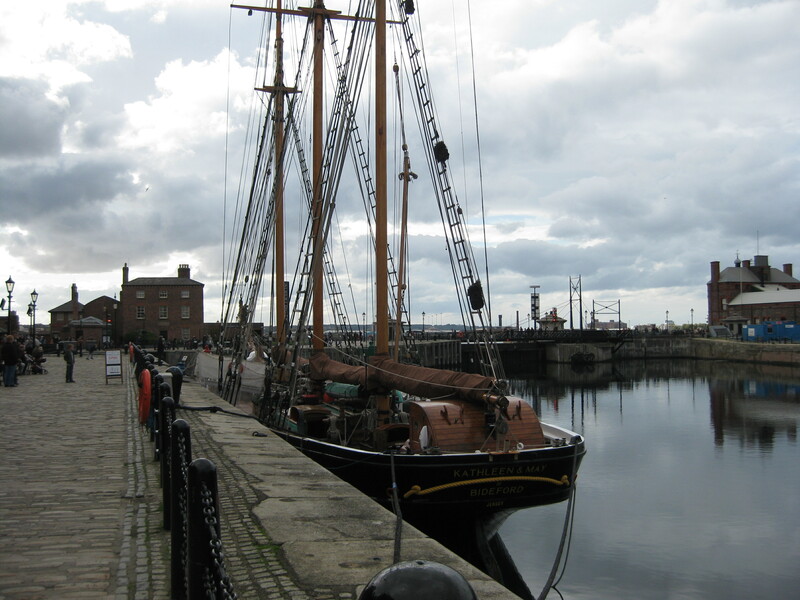 KATHLEEN & MAY was built by the reputable wooden shipbuilders Ferguson and Baird at Connahs Quay on the R. Dee North Wales, and is now the last surviving Welsh-built merchant sailing vessel. She was commissioned by leading Chester ship-owner Captain John Coppack and originally named after his daughters Lizzie and May. She has strong regional significance from her working life which was spent in the home trade, sailing between Scotland, London, the Channel Islands and later between Cardiff, Ireland, Liverpool and the West Country, covering a wide geographical area and sailing nearly 40,000 miles in her first 8 years. Under Irish ownership and re-named KATHLEEN & MAY, she developed a strong significance for the port of Youghal and the Bristol Channel where she plied the coal trade. In this role, she is illustrative of the national efforts made to maintain the essential trade in basic materials during the First World War. In 1969 the Duke of Edinburgh, who had been instrumental in the rescue and restoration of CUTTY SARK, started the Maritime Trust as a means of preserving other significant British ships, with KATHLEEN & MAY an early object of the Trust’s attention as a national icon. She was purchased by the Trust in 1970 with funds from the Hong Kong ship-owner Sir Yue-Kong Pao. 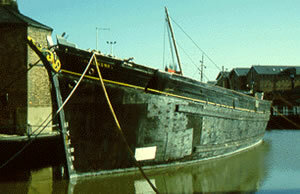 After restoration work carried out by the Trust in Appledore and Mashford’s Yard, Cremyll, KATHLEEN & MAY was opened to the public in Sutton Harbour Plymouth from 1971 to 1978, when she was towed to St. Katherine Dock London to form part of the Historic Ship Collection until 1985 when the collection was dispersed. 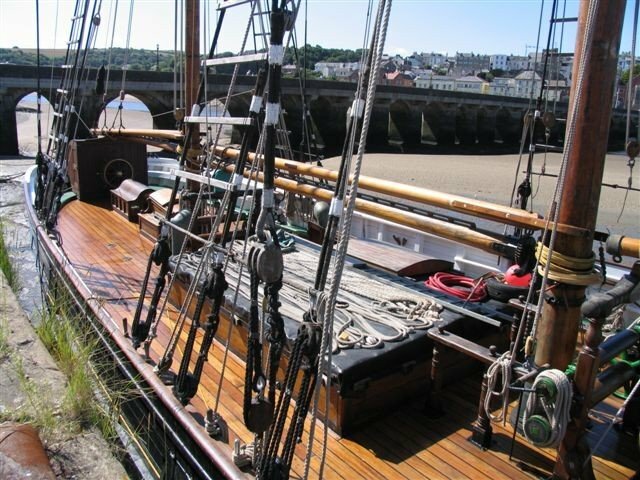 Subsequently she was sold on, fell into disrepair, and was then bought in 1998 by a local business man who brought her back to Bideford, the port with which formerly she had been associated, and where she was conserved to full working order. Since then she has cruised the UK coast attending maritime festivals and visiting once more her home port of Youghal, where she was the subject of a documentary film. She has developed European links, being chartered by Companie de Transport Maritime a la Voile to carry 30,000 bottles of French wine to Dublin and also crossing the Bay of Biscay to Bilbao where she was the guest of the Guggenheim Museum for three weeks. Records survive of the cargos she carried in her working days, along with a range of historic photographs and paintings, as well as log books from the First World War era. 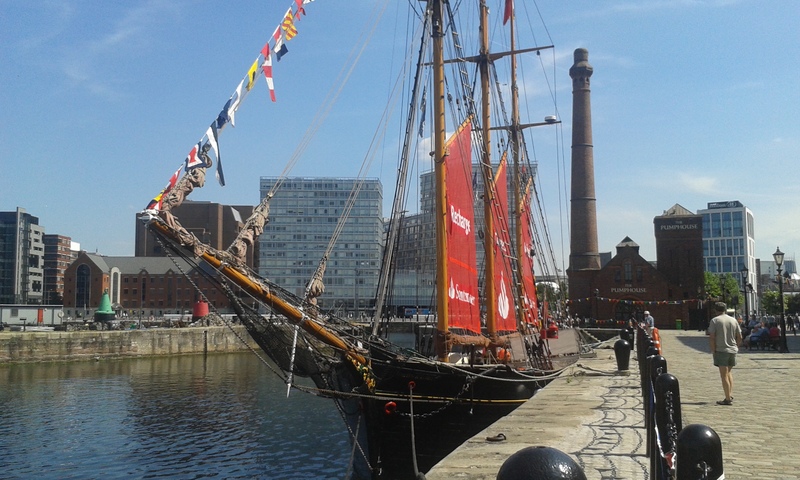 Although Bideford remains her home port, in 2011/12 she took up a berth in Albert Dock, Liverpool. KATHLEEN & MAY was substantially built to carry a cargo of 226 tons over a considerable distance around the UK coastline. Her planks were three inch pitch pine, laid on doubled oak frames and fastened with tree nails and iron bolts. 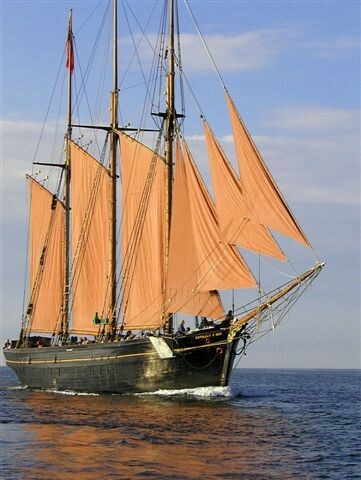 She has an elegant semi-elliptical stern and a sailing rig of a kind first developed in Britain in the late eighteenth and early nineteenth centuries through North American connections. Her form made her fit for purpose, as well as being economical and a handsome vessel. Carrying as small a crew as possible was crucial to commercial success for modest sailing cargo vessels: the roller reefing gear fitted to the fore-and-aft sails on KATHLEEN & MAY was an important innovation in keeping crew numbers and costs to the minimum consistent with operating the ship to the highest achievable levels of performance. KATHLEEN & MAY remains in operational condition cruising the same waters she once traded; an appropriate setting which highlights her significance as one of the few historic sailing merchant ships from this coastline to have survived. Source: NHS-UK team, 9 July 2015. 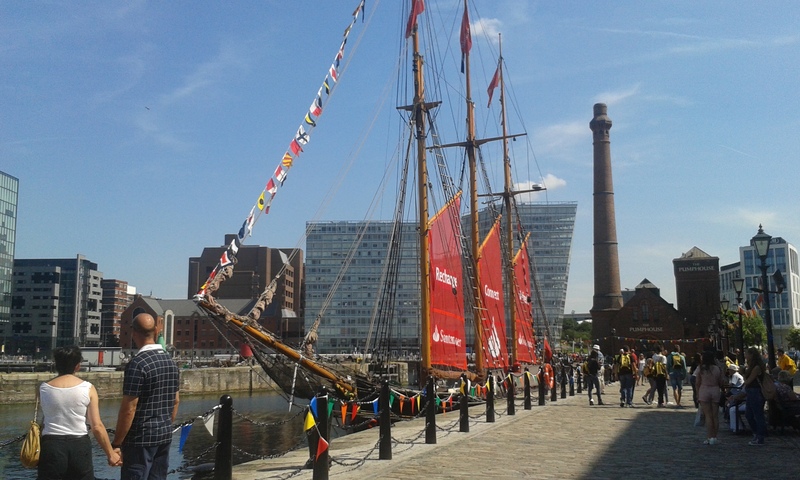 KATHLEEN & MAY was built for leading shipowner Captain John Coppack and named after his daughters Lizzie and May. She was employed taking cargoes such as cement, coal, pitch and clay anywhere between Oban, Scotland and the Channel Islands. Her fo'c'sle could house four hands, while the Captain and mate occupied small cabins leading off the saloon, which also served as a mess room. Her first commercial voyage was under Captain Tom Hughes from Connah's Quay to Rochester with 226 tons of firebricks. She then carried cement to Plymouth, pitch to Cardiff, coal to Falmouth and clay to Weston Point. In her first 8 years, she sailed nearly 40,000 miles, carrying various cargoes of over 24,000 tons. 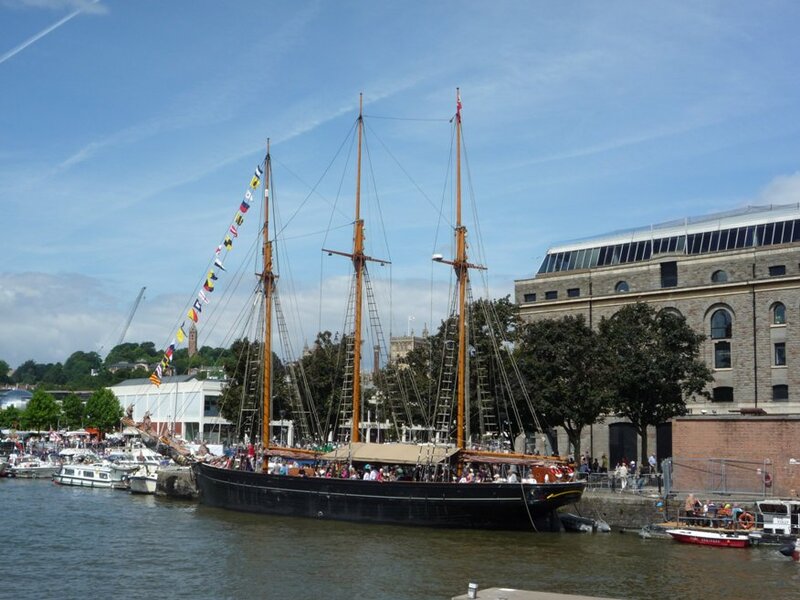 In 1908, she was purchased by M J Fleming of Youghal in Southern Ireland, renamed KATHLEEN & MAY after his daughters, and placed in the coal trade between the Bristol Channel and Ireland, carrying oats or pit props on the return passages. Under Captain Joe Aherne of Youghal she imported coal from Lydney and from Garston, often carrying oats or pit props on the outward voyage. 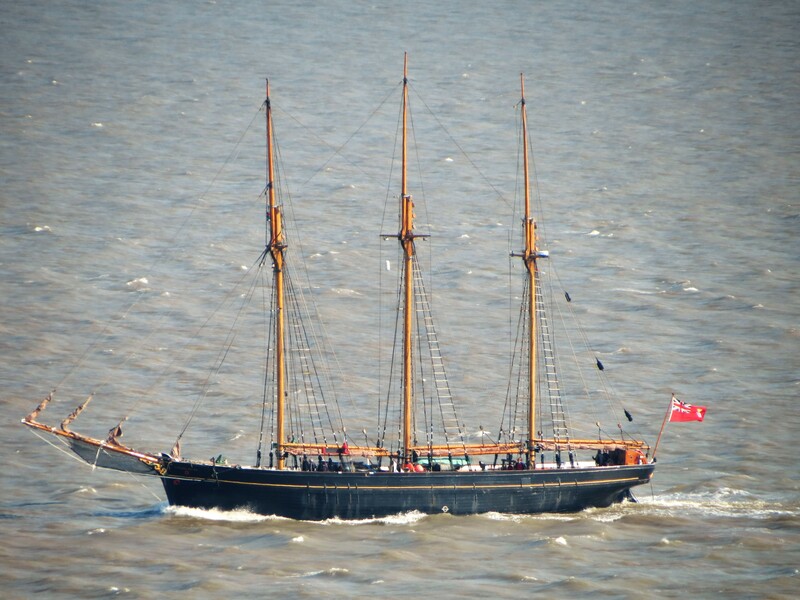 On St George's Day 1931, she carried her last cargo under sail alone - 202 tons of coal from Cardiff. In that year, she was purchased by Captain Jewell, fitted with an 80HP auxiliary engine and her topmasts were shortened. Captain Jewell died in 1945 and KATHLEEN & MAY was left to his son Tommy who continued to operate her until 1961, after which she had a series of owners until she finally retired in 1967. During 1968, KATHLEEN & MAY was discovered in bad repair by the Duke of Edinburgh who created the Maritime Trust in London to help preserve her. She was bought by them in 1970 with funds given by the Hong Kong shipowner Sir Yue-Kong Pao. 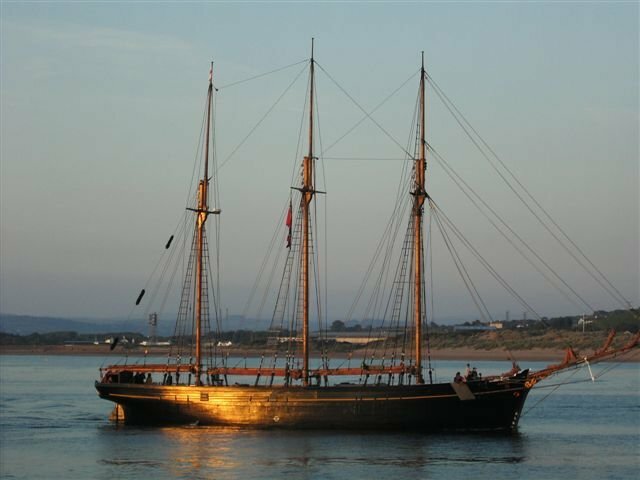 They began restoring her as a typical West Country schooner. 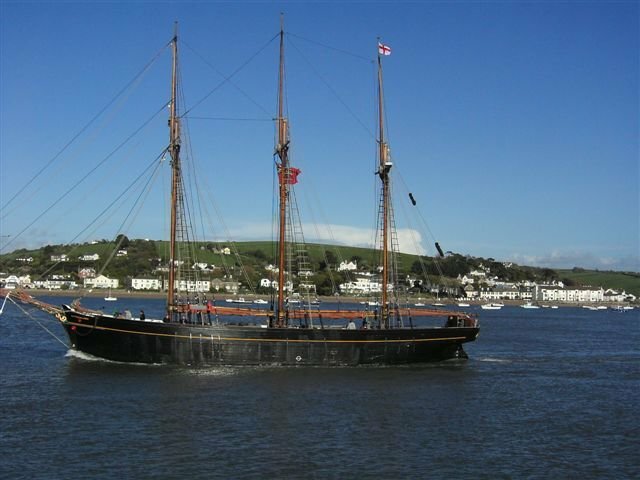 In 1998, she was sold for £80,000, towed to Bideford and moored at a disused coal wharf where restoration work began. She has now undergone a complete restoration to full sailing condition back to her original 1900 build, with the exception of some up to date conveniences like heads and a 400 hp engine. 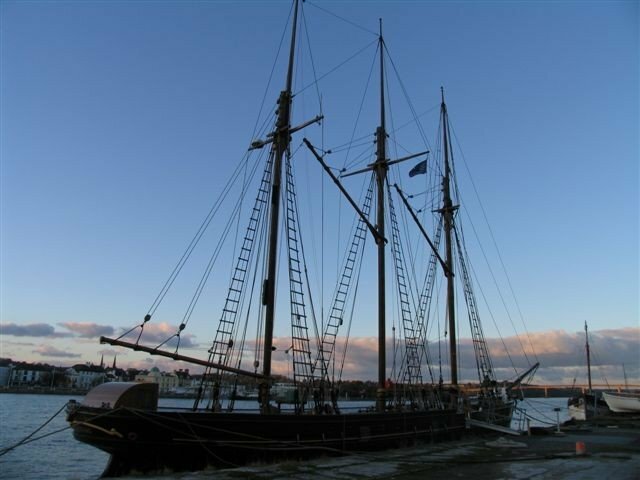 She has subsequently sailed across the Irish Sea and the Bristol Channel several times and has attended festivals in Dublin, Bristol, Derry and her old home port of Youghal. For example, In 2008, she was chartered by Companie de Transport Maritime a la Voile to carry 30,000 bottles of French wine to Dublin. 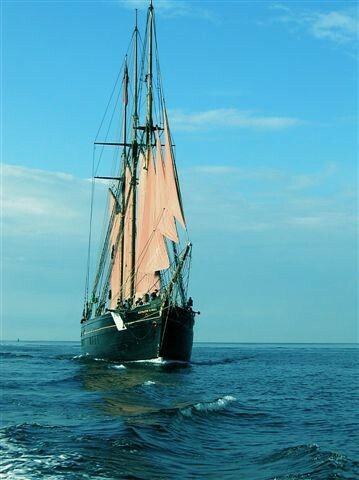 She has crossed the Bay of Biscay to Bilbao where she was the paid guest of the famous Guggenheim museum for three weeks and, following a £2m refit, she set sail from Bideford to attend various maritime festivals during the summer of 2011.